In this guide you can find all CS GO Stickers in one list and the colors of the Stickers. The stickers that fit well together are listed below. In Addition to that we talk about how to get CS GO Stickers & the rarity! What are sticker & how can I get them? The full sticker list of all colors. What are CS GO Stickers and how to get them? CS GO skins have a custom price and value, players love to trade with these skins (Learn here how to be a good trader). The CS GO Stickers come on top of this an can be sticked onto the Skins, like that many different individual versions can be created. If you use a Sticker on to a weapon, the Sticker item is away. The Sticker can increase or decrease the weapon skin value. The maximum that can be applied to one single weapon is 4 Stickers. Only the G3SG1 and the R8 Revolver can have 5 Stickers. How to get CS GO Stickers? Open a Sticker Capsule in CS GO. Sticker Capsules can be dropped after a CS GO match (regular & community Stickers). You need a capsule key to open them! Trade Stickers with other players on the Steam market. Buy Stickers ingame from the store (with a special coupon from your inventory). You can get souvenir Stickers on souvenir weapons, that can’t be removed from them. Tournament CS GO stickers are very cool. You can purchase them in the shop without a capsule key. There are different CS GO Sticker styles, the most are of course normal style, but you can also collect Holo or Foil Sticker variants. Standard glossy stickers The normal standart CS GO Sticker which is shiny with no backing. Can be scraped off. Paper-backed glossy stickers Same as the glossy Sticker but with a solid backing, before it is finnaly scraped of the backing will appear. Holographic stickers (Holo rarity) This sticker has extra texture layers for a better holographic look, with a holographic reflection. Color-replace pattern graphics or graffiti tags You can choose one out of four colors. Embossed foil or metal leaf stickers (Foil rarity) Metallic foil outline or gold outline. Tell me if any Sticker is missing. 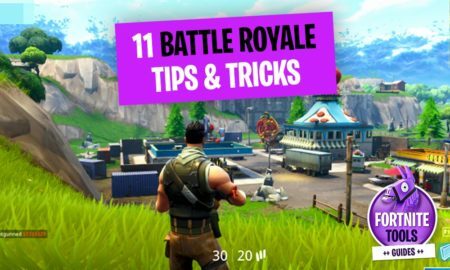 Gaming News, Guides & MoreOn Gaming-Tools.com you can find News and Guides for many different Online Games like Fortnite Battle Royale, Warcraft 3 The Frozen Throne & Warcraft 3 Reforged or Counterstrike CS GO! Find useful Tools, Patchnotes, Downloads and Tips & Tricks to maximize your gaming experience!